The upcoming reboot of Stephen King’s classic novel and film, Pet Sematary, is definitely tweaking the story a bit and it’s damn intriguing. Spoilers ahead for those who haven’t read the book or seen the original film. Courtesy of the new trailer, we can confirm that it is in fact Ellie Creed who dies and comes back to “life” and not younger brother, Gage. For those who are familiar with the original story, this is kind of a big deal. In the original story, Ellie is a bit of a psychic (It’s a Stephen King story, so obviously there are psychic children), and she has a bit of a “Shining” moment about the horror her father is going to unleash when he attempts to resurrect her deceased little brother. Well, Ellie’s visions are enough to convince her mother to take action and race home to try and save her husband from impending evil, that is Little Gage. LG is indeed one of the most terrifying little monsters of all-time, as he’s still an adorable child, whom is now inhabited by an evil spirit; all the while wielding a scalpel that he’s way too good at using. Well, rest assured Ellie Creed is just as adept at working havoc with surgical instruments in the reboot as Gage was in the original. Poor Jud Crandall and his exposed Achilles tendons. 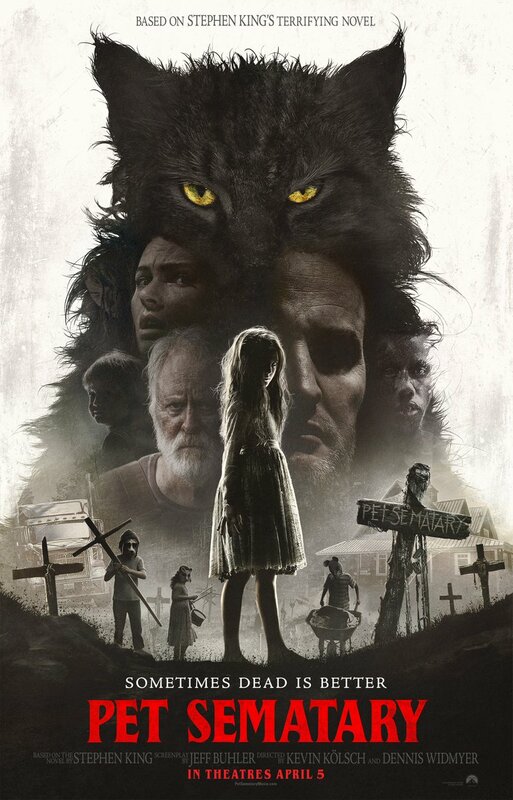 Pet Sematary is in theaters on April 5, 2019.